In April 1991, composers Philip Corner and Steve Peters visited a remote canyon in northern New Mexico, bringing with them a pair of Korean cymbals and a portable DAT recorder, respectively. With no plan and little discussion, a lengthy duet ensued between Player and Listener. Both were immersed in their roles, Corner sounding the metal discs in and with the landscape in every way imaginable; Peters and his mic attuned to both the granular details and the larger soundscape. This continued for over an hour without interruption, resulting in a very special recording. The private, almost subliminal, performance comes from a period when Corner was practicing a daily personal ritual of quietly ecstatic improvisations, under the principle of "withinstascy", of which the Metal Meditation: Gong (in this case cymbals) is a subset. The occasion of a visit to Santa Fe was taken by Peters to provoke this unusual documentation of one "day in the life". Eighteen years later, this mythical session finds its way out of Corner's personal archive, sounding every bit as compelling as it did when it was first recorded. "Gong (Cymbal)/Ear in the desert" captures all of the intimate, tactile nuances of Corner’s ecstatic performance, accompanied by the ambient sounds of insects, birds, wind, and trees. 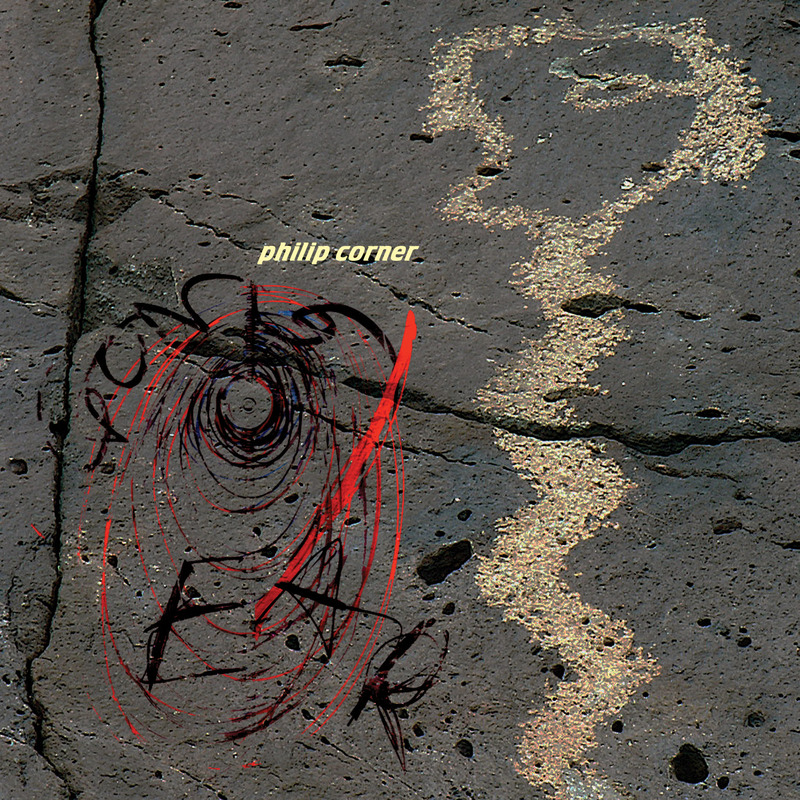 This release meticulously documents this singular event, a moment of pure being in time and place: Philip Corner in a high desert canyon on a fine spring morning – playing, listening, fully present. After the High School of Music and Art in New York City, Corner (b.1933) earned a BA from City College, where his most important teacher was Fritz Jahoda. A French Government grant permitted a two-year stay in Paris where he studied with Olivier Messiaen at the Conservatoire. Back in New York he frequented the group around John Cage, initiated his participation in the Downtown scene, and also got an MA from Columbia University. A need to improve pianistic skills led him to the studio of Dorothy Taubman. He taught at the New Lincoln School in New York from 1966-1972, the New School for Social Research from 1967-1970 and Rutgers University from 1972-1992, after which point he moved to Reggio Emilia, Italy with his wife, the dancer and choreographer Phoebe Neville. Corner has been associated with Fluxus since 1961 and was a resident composer and musician with the Judson Dance Theatre from 1962-1964. He was invited to join the Experimental Intermedia Foundation from its outset by Elaine Summers, for whose dance company he continued as composer. He co-founded with Malcolm Goldstein and James Tenney the Tone Roads Chamber Ensemble in 1963 (active until 1970), with Julie Winter Sounds Out of Silent Spaces in 1972 (active until 1979) and with Barbara Benary and Daniel Goode, innova artists Gamelan Son of Lion in 1976 (still active). Seattle-based Steve Peters is a music and sound artist who often for site-specific events involving recordings, texts or acoustic phenomena. He is a producer, writer, and curator who runs the non-profit Nonsequitur. Here is an oddity — and a pleasant one. Not everyday music and not meant to be, but a great escape when needed. Recorded at Tent Rocks (Kasha-Katuwe), NM, on April 22, 1991, here are 66 [mins.] of sand and occasional crashing and banging, but mostly the vastness of open spaces. Much of the tapestry could come from the world of Hildegard Westerkamp, though comparisons fail. Music for a lazy day that will quickly become less lazy: music for the imagination.